Apart from issues involving children, the most pressing concerns in the vast majority of divorce cases are centered around property division; and, if you are like most couples in Texas, the single biggest asset that you and your spouse own is your house. When exactly that house was bought will have a significant impact on your divorce case. 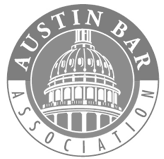 In this article, our top-rated Austin, TX divorce attorney provides a brief overview of the most important things that Texas couples need to know about how pre-marriage homes will be dealt with during a marital separation. The first thing that you need to know is that Texas is one of the nine community property jurisdictions in the United States. In community property states, all property acquired after a marriage is jointly owned by both spouses and all property acquired before the marriage is generally considered to be separate property. To be clear, there is a strong presumption in favor of a couple’s assets being shared property. Under Texas law (Texas Family Code Sec. 3.003) all property will be considered to be community property unless clear and convincing evidence can be presented that proves otherwise. The implications of this are critically important: a home that was bought before a marriage is separate property in Texas. Separate property is not subject to asset division in divorce. 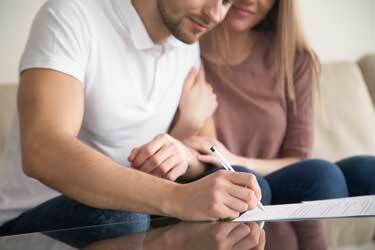 The partner who owns separate property will retain sole ownership of that property even through a marital separation. This is true even if the property is very significant, such as a home that the couple lived in together during the course of their marriage. While it may sound like this is an ‘open and shut’ issue, the reality can be (and often is) a lot more complicated. “Who gets the house?” is a question that has plagued many divorcing couples in Texas. Even when a home was purchased prior to the marriage — when it should qualify as separate property for the purposes of asset distribution — there can still be fierce disputes over how the home will be handled in the divorce. The primary reason for this is that there are some complicating factors that can make dividing a house that was bought before marriage considerably more challenging than it might initially seem. Still, a home that was bought prior to marriage will be classified as separate property in Texas unless the spouse who bought the home gifted an ownership interest to their partner using an enforceable agreement. However, while the home will not become community property, the other spouse may have a viable legal claim to some of the value of the home. A married couple pays for a significant home improvement or home renovation in a house that was purchased prior to the marriage. In either case, that home is still separate property for the purpose of the divorce. However, the spouse who put some of their share of the money into paying off the mortgage or paying for a major home renovation/upgrade may be entitled to get some of that money back. 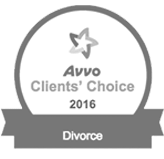 Divorce reimbursement claims are deeply complex. If your marital separation involves this type of issue, it is imperative that you consult with an experienced Texas divorce lawyer who has the skills and legal knowledge needed to protect your legal rights and financial interests. At the Law Office of Ben Carrasco PLLC, we have extensive experience handling complex property division cases. If you and your spouse are involved in a dispute over a house that was bought before your marriage, we are here to help. 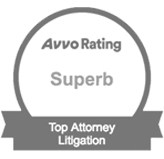 To get a fully confidential review of your divorce case, please do not hesitate to contact our legal team today. From our conveniently located office in Austin, we handle family law cases throughout Central Texas, including in Georgetown, Round Rock, Pflugerville, San Marcos, and Bastrop.